June 30, 2013 0Comments by Garrett S.
My name is Garrett Strong. 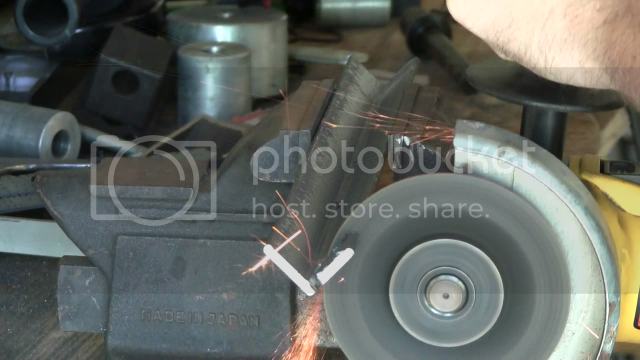 I’ve been helping beginners & hobbyists learn to weld online for several years now. I’ve helped thousands of people just like you get started learning to mig weld. 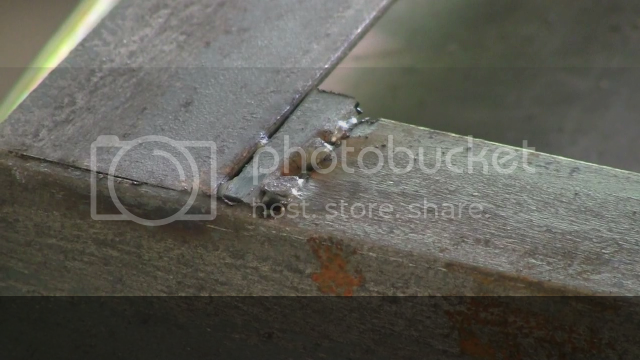 If you’d like to get started, Download my FREE beginner’s guide to MIG welding. 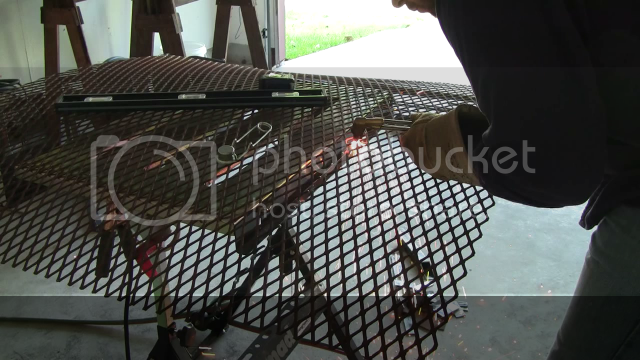 In this welding project I’m going to show you my mig welding cart plans. 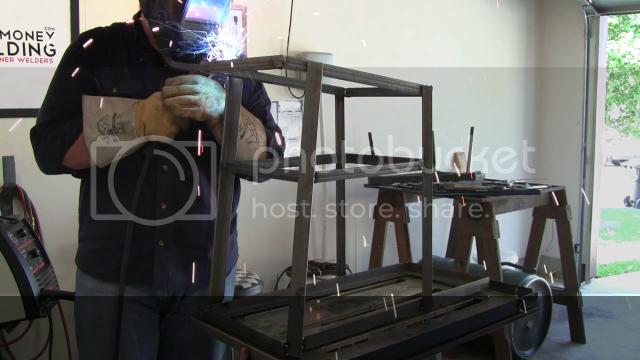 If you’re looking to weld projects in your spare time then check out my other welding projects ideas. I’ve made these welding project plans very simple. 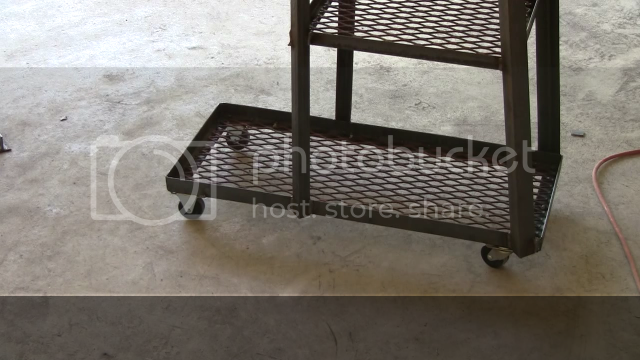 Just follow along with the pictures and tutorials and you can quickly build this welding cart from home. 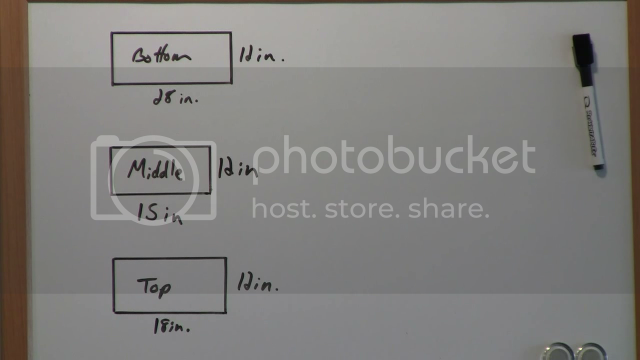 The dimensions for the 3 shelves (upper, middle, and bottom) are below. I’m notching the corners for the rectangular frames. 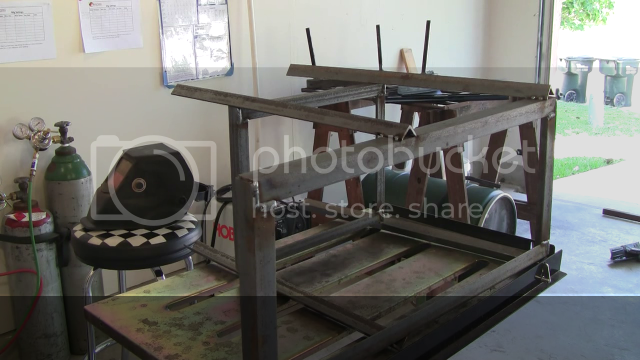 Using my strong hand tools portable welding table with 90 degree slide ups. This way I ensure my frames are exactly 90 degrees. 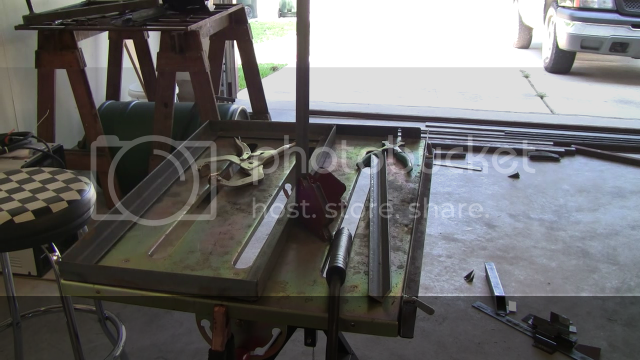 The frame has been tack welded, and now I’m getting ready to run beads on the under side of the shelf. I made a mistake when notching and cut too much material off. So I improvised and filled the gap with a piece of metal. Once tack welded in I did a final weld. Putting on the legs for the cart. Those are 90 degree magnets I’m using. 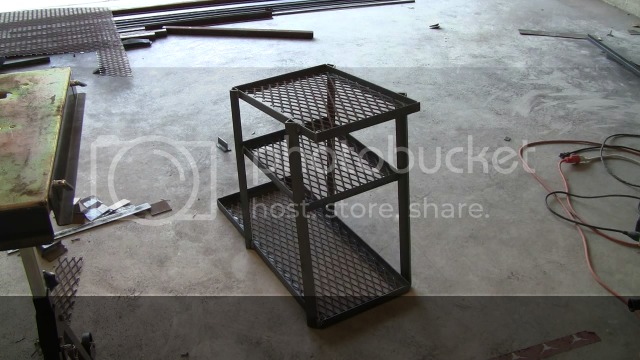 Notice the front legs are angled back so the top shelf can have an angle for the welder. I turned the table sideways to fit the other shelves on. 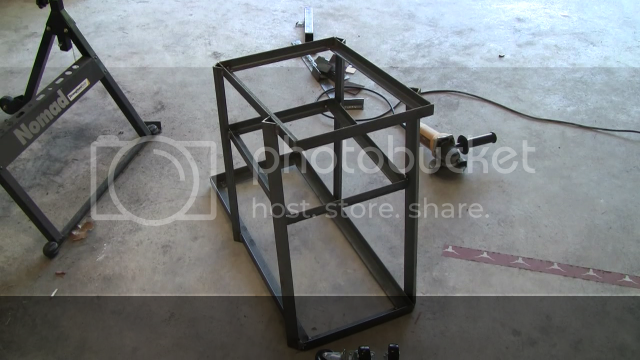 I’ve tacked welded the entire frame. 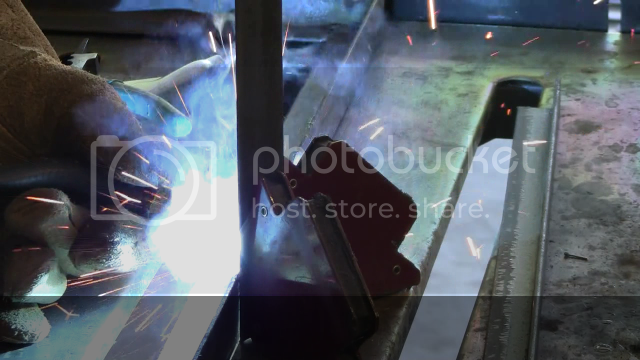 Now I’m running final welds on the entire frame. Notice the top shelf is angled. 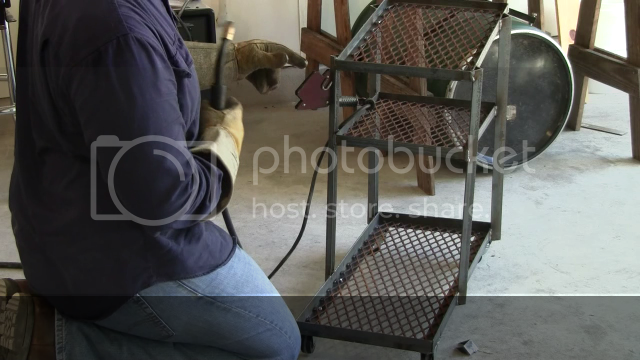 I’m cutting the shelf supports using the oxy acetylene torch. I’m using expanded metal for this. 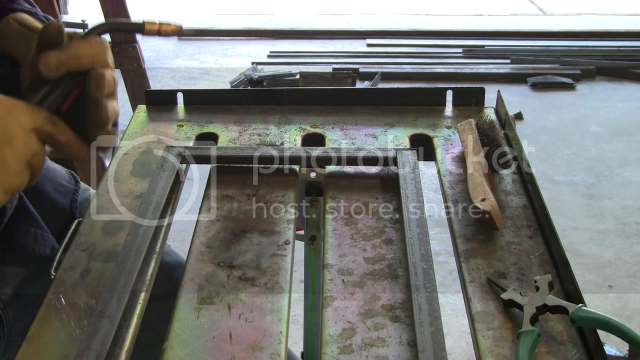 Welding the shelves to the cart frame. 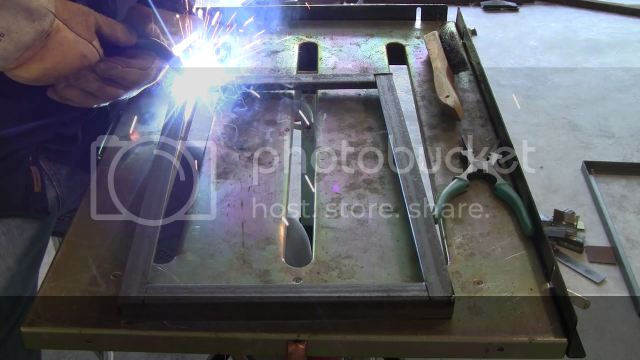 I cut some chain in half and I’m welding the pieces on the back of the frame to act as a hook for the bottle strap. Now I can put the cylinder and strap it down safely. Don’t forget the wheels. I made the mistake of putting small wheels on the back. DO NOT do the same thing. I have since replaced those small wheels in the back with 2 much bigger wheels on the side. This gives it a lot of support. 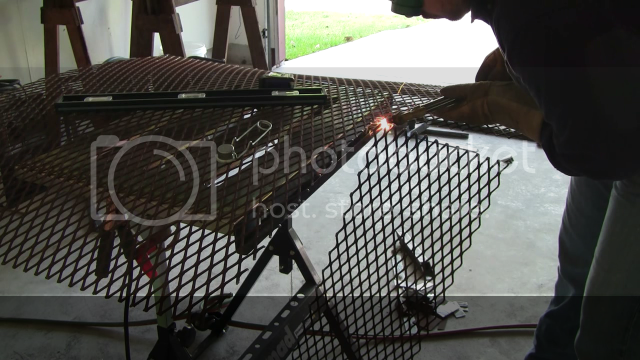 I hoped you liked these mig welding cart plans and if you have any welding project ideas you want to share let me know in the comments below. If you’re new to welding, or you want to master MIG welding, Download my FREE beginner’s guide to MIG welding. 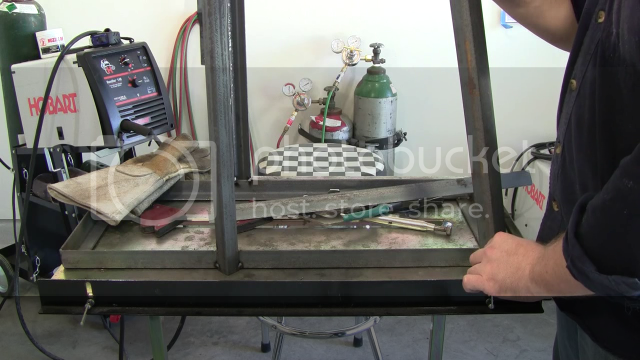 It’s the fastest way to learn the best welding process for beginners. P.S. What do you think? 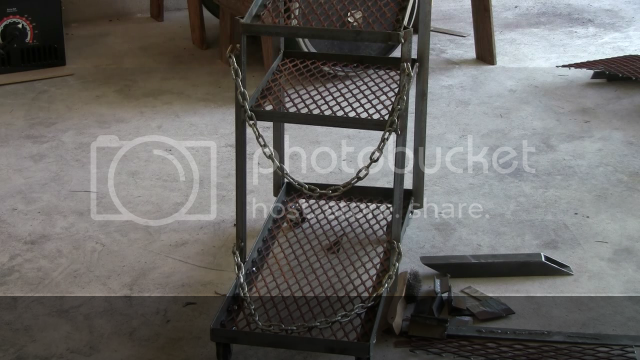 Was this welding cart project helpful for you? Leave your comments below. P.P.P.S. 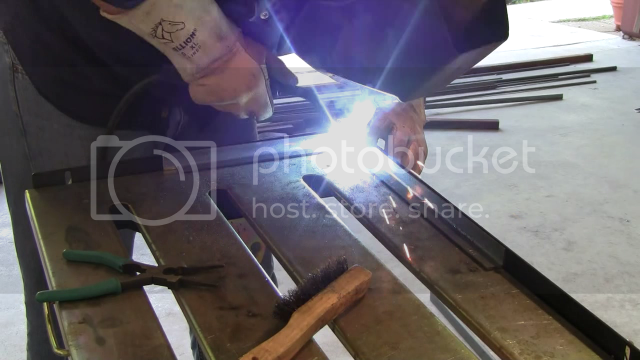 You may also enjoy these articles… “The Advantages Of No Gas MIG Welders” and “How To Weld Project Like A Pro”.